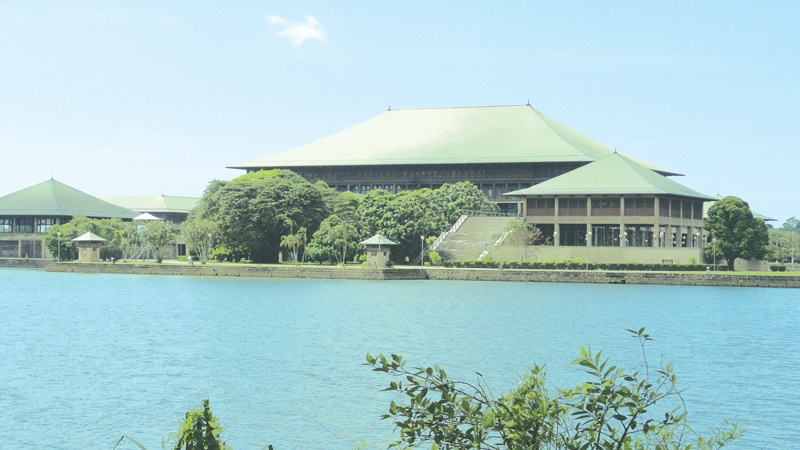 Amidst a major political debate on the delay of elections to local bodies and provincial councils that concern the status of Democracy and representative government in the country, the Parliament of Sri Lanka celebrates its 70th Anniversary, the institution recognized as the Parliament of Asia’s oldest Democracy. The traditions of this Parliament began before independence in 1948, from the State Council established in 1931, under universal adult franchise, and before all other British colonies and most Western democracies had accepted universal franchise. The beginning of representative democratic governance came through many struggles for such a system from the early years in the last century, by nationalist leaders, socialist campaigners, trade unionists, Buddhist revivalists, and many advocates of freedom, who sought changes in the system of colonial rule, giving more power to the people. The gaining of universal franchise and representative democracy was a result of Britain’s response to the demands of nationalist campaigners, by establishing the Donoughmore Commission in 1927 that recommended universal franchise and a wider representation of the people in the State Council, and the Soulbury Commission in 1944, recommended a parliamentary form of government for the country. It directly led to the birth of the Parliament celebrating its 70th Anniversary today. The British House of Commons enacted the Ceylon (Constitution) Order-in-Council of 1946, which by Article 7 provided for the creation of the first Parliament in Ceylon. Although February 4, 1948, is the Independence Day of Sri Lanka, the beginning of the Parliament that was, and remains the key institution of this Democracy, dates before that. The first election to the new House of Representatives was held over a period of 19 days from August 23 to September 20, 1947. The first meeting of Ceylon’s Parliament took place on 14th October 1947 at what was then the State Council Building – later to be the Parliament – for the purpose of electing a Speaker of the new Parliament. Although the UNP had won a majority in the first election to Parliament, the first to take their seats in the new Assembly were Florence Senanayake – the only female member of the new Parliament and Dr N M Perera, both of the Lanka Sama Samaja Party (LSSP), followed by two more LSSP members –Philip Gunawardena and Robert Gunawardena, and then by the other members of the new Parliament. The first Speaker then elected was Sir Francis Molamure. This Parliament has since continued widening and strengthening democracy and peoples’ power through many challenges. It has seen many ups and downs in the practice of democracy, committed to preserving the values of democracy and the rights of the people; amidst major changes in political thinking in the country. It has seen the progress of representative democracy, through the past 70 years, while similar establishments in South Asia, with similar colonial histories, have collapsed, or were rebuilt with many of the values of democracy seriously harmed. From its very inception, this Parliament was and remains in the midst of controversial political activity. At the very early stages, it passed legislation depriving a whole minority community, the Tamil plantation workers, their citizenship rights, making them ‘stateless’. Yet, this same Parliament, many years later, restored full citizenship to these people, showing the Parliament’s role in the better functioning of democracy. This Parliament saw a major threat to democracy with the attempt at a military coup d’état in 1962, mostly by reserve and retired military and police officers, whose efforts were defeated. In 1971, the Parliamentary system faced the first youth uprising, led by the Janatha Vimukthi Peramuna, seeking to overthrow the elected SLFP-led government of the country, which failed after much bloodshed. It also faced a second JVP uprising in 1987 - 89, under the UNP-led government, which too was defeated by the armed forces of the democratic State. In August 1987, a Member of Parliament and a Parliament employee were killed, a Minister of the Government seriously injured, and the Prime Minister and several MPs injured in an armed incident within Parliament. Later, the country faced an uprising of ethnic rivalry, leading to a separatist war that lasted almost 30 years, from the 1980s, which was brought to a military defeat in 2009. This action by the forces of separatist terrorism was the most serious threat to democracy faced by Sri Lanka, and its defeat was a major contribution to the progress of democracy in the country. This Parliament sustained the democratic process during these critical periods in the country. 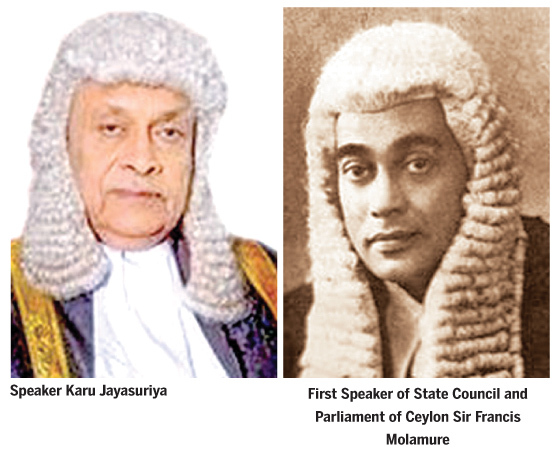 This Parliament has seen the transfer of power in the country from a father to son – from the first Prime Minister D S Senanayake to his son Dudley Senanayake, after the father’s demise. It saw the assassination of a Prime Minister S W R D Bandaranaike in 1959. It later saw the election of the world’s first woman Prime Minister, Sirima Bandaranaike, the widow of the late S. W. R. D. Bandaranaike. The first woman President of Sri Lanka, Chandrika Bandaranaike Kumaratunga, was also a Member of Parliament and Prime Minister. Legislation from this Parliament did lead to many significant changes in the policies of the country, from the adoption of Sinhala Only as the Official Language in 1956, and moving towards a state-centred economic process with the nationalization of bus transport and the ports, and the State moving into Banking and Insurance, the carrying out of land reform and control of the plantation industry, following the political changes of 1956. But in later years, with the major electoral change of government in 1977, this Parliament also saw the introduction of a market-driven and largely private sector-led economy. The political debate on these systems and the need for new economic and political strategies continue to be much of the parliamentary and public debate to this day. It also saw the change from the original House of Representatives from 1947 moving to the first Republican Constitution in 1972 and the National State Assembly, and next to the 2nd Republican Constitution, with an Executive Presidency from 1978, and the legislature being named Parliament. From 1947 to 1978 as all Heads of Government or Prime Ministers were members of this elected legislature, in keeping with the tradition of the House of Commons. After the adoption of the Executive Presidency in 1978, when the holder of his office is Head of State and Head of Government, all of them since 1978 have been Members of Parliament. They are J R Jayewardene, Ranasinghe Premadasa, D B Wijetunge, Chandrika Bandaranaike Kumaratunga, Mahinda Rajapaksa and the incumbent President Maithripala Sirisena. It has been the representative House for members who entered it with exceptional knowledge of the parliamentary process, and others who gained such knowledge in the House. There were skilled debaters, political moderates and extremists, academics and professionals, and leaders of the workers and peasants, who enriched debates with humour, sharp criticism, and verbal anger, reaching the highest standards of parliamentary performance. The original Legislature was housed in two premises. The House of Representatives was in the building put up to house the old Legislative Council of Ceylon, which opened in January 1930, and one year later housed the State Council, and next transformed into the House of Representatives – the Lower House of Parliament - with the achievement of Independence in 1947. It is today the Presidential Secretariat. The Upper House or Senate was located in a building opposite the Governor’s Residence or Queen’s House, was abolished in 1971, prior to the adoption of the first Republican Constitution in 1972. Parliament moved to its new premises in Sri Jayewardenepura Kotte in 1982. While the old Parliament building was of distinctly Western tradition and architecture, the present Parliament building portrays a style of regional modernism, giving an important position to the traditional architecture of Sri Lanka, with much Japanese influence too, because of the Japanese assistance in its construction. It is a great work of the Sri Lankan architect Geoffrey Bawa. As the Parliament of Sri Lanka celebrates its 70th Anniversary, it can look back at the development of a democratic society and culture in Sri Lanka, moving away from colonialism to freedom, independence, and national sovereignty. It has moved from Dominion State after direct British colonial rule, to that of a Democratic Republic, and has seen the country overcome many threats to democracy. Overall, it has seen the peaceful changes of government, through elections, and has been the centre of legislative changes that have steadily improved the social, economic and cultural advancement of the country. The Parliament today is the House to a coalition of the two largest – and traditionally rival political parties, and the debating often leads to angry and heated confrontation. It is also considering constitutional changes that could further advance Democracy. On this 70th Anniversary, the Parliament of Sri Lanka must look forward to further strengthen its role in the advancement of the democratic process, making further contributions to the progress of Sri Lanka as a nation and a member of the international community of nations, with the continued commitment to democratic governance.